Adjusting to a new home isn’t just a human affair – your pets will have to adjust as well. If you notice your pet acting strange, like being rowdier than usual or being more timid, he or she is probably experiencing anxiety from adapting to the move. Although we might not be able to ask our furry companions what they need to feel better, there are several things you can do to ensure your pet acclimates to the new environment as comfortably as possible. For this reason, the pet-loving team at MovingAddresses.org has compiled a list of six tips that you can use to help your pet adjust to a new home. As you’re packing, it’s a good idea to designate a space for your pet so that he or she is not in the way. Boxes and junk are a haven for curious animals, and it’s much easier for them to land themselves into trouble when your stuff is out in the open. You can use pet gates to secure an area of the house for your animals. Be sure to keep some of their favorite toys with them so they don’t feel lonely. When you’ve put your pet into an entirely new environment, you should do your best to keep some sense of familiarity to ease his or her anxiety. MovingAddresses.org suggests keeping your pet’s favorite toy with him or her at all times during the move. Once you’ve begun unpacking, keep your pet in an area with his or her usual toys. You may be tempted to buy your pet a new food bowl or kennel in honor of the move, but it’s best to wait until you know your pet is comfortable before altering familiar items. Your pet will probably start to worry once he or she sees you packing boxes and suitcases. This means his or her anxiety begins well before the move. You know your pet’s personality, so use that knowledge when handling your pet during the move. Some pets need to be near you to feel safe, while some would do better in a kennel away from all of the commotion. Others still may need to be taken to a pet sitter while the move is taking place. The experts at MovingAddresses.org say keeping your pet as comfortable as possible during the move will help eliminate disruptive behavior and anxiety once you’re starting to settle in to your new home. Once you’ve already begun to unpack, it’s a good idea to establish a routine with your pet. Routines help set expectations, which will help your pet understand that this new environment is now home. When you’ve established a time to eat, sleep, cuddle and play, your pet will slowly but surely begin to feel more at home. As mentioned earlier, your pet may exhibit some changes in behavior while adapting to the new environment. The team at MovingAddresses.org reminds you to be patient with your pet and not to think this change in behavior is permanent. Some pets adjust quicker than others, but in due time, your pet will calm down and be more comfortable. Give your pet a little extra quality time while he or she is adapting to your new home. 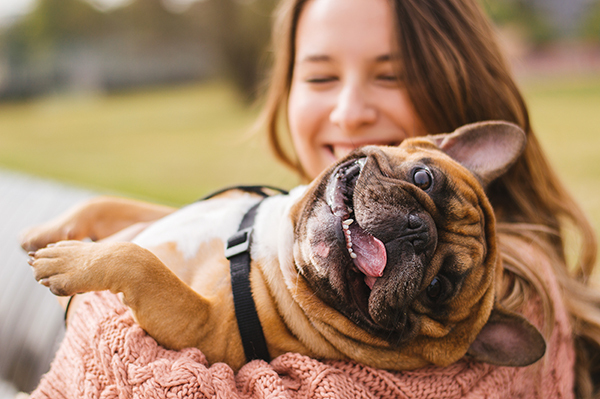 The team of experts at MovingAddresses.org believes a little extra love will not only help your pet feel more at ease, but it will probably help you feel less stressed, too.